There are many ways you can entertain your guests and turn your wedding into a more unique and engaging experience. If you’re interested with cigars and fine tobacco, consider creatively including hand-rolled cigars in your wedding celebrations. Offer your groomsmen full access to tobacco and cigar treats during your bachelor bash. It’s a way to make each person feel like a VIP as you’re preparing for your wedding. You can turn this into a more personal event by determining the tastes of your groomsmen. You can then decide on the cigar that will suit them best. Browse available selections of cigar types, and you’ll discover they vary in terms of color, size, shape, and intensity. If you’re a cigar aficionado, or if you’re just curious about the experience, check out workshops on cigar-selection, cigar-smoking, and humidor-care. These programs can add a unique and educational spin on your bachelor party. You can then use cigars as a prop. Posing with them in hand or mouth can bring forward a celebratory feeling that will come through in your wedding photos and during your actual event. It’s also a unique photo opportunity that may be an unforgettable moment for your guests. After the wedding proper and before the reception begins, your wedding may have a cocktail hour. This can be a good time for you to smoke a few puffs of a cigar to celebrate the commitment you just made. Doing this can also help you relieve jitters and nerves that may have been brought up when you were standing in front of an audience during your wedding. It’ll reduce stress you may have felt and prepare you for the next part of the ceremony. Your reception will likely open up the dance floor during the later stages. But you won’t be able to stay there the entire night, and it’s not the only activity or entertainment you can include in your party. Cigar-rolling stations are more relaxed and laid-back, but they can serve as a significantly more memorable and unique experience for your guests to enjoy. 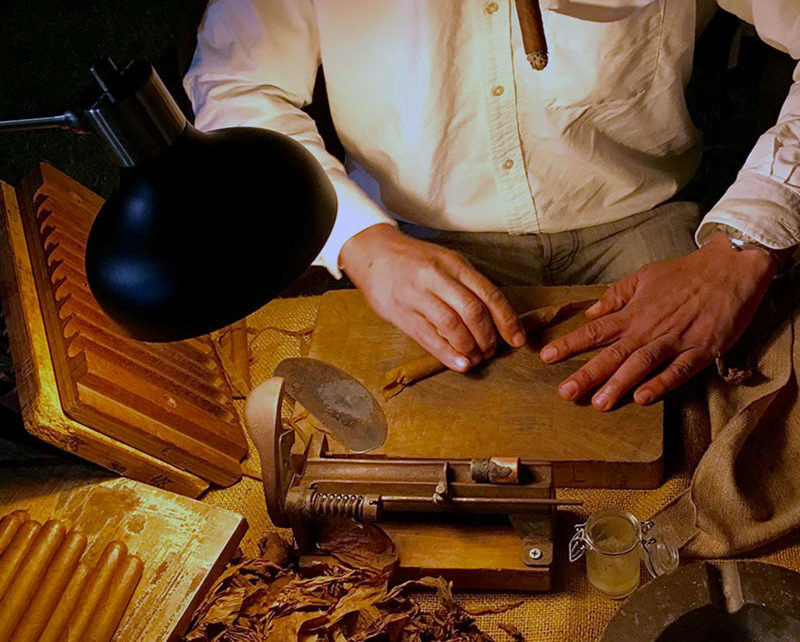 Professional cigar rollers can create cigars, from scratch, right in front of you. They’ll combine technique from training and experience, fine tobacco leaves, and high-quality wrappers. After they’re made, your guests can enjoy the fresh, handmade cigars. You can get your cigars to have a personalized look for your wedding. Determine a label that reflects the logo, initials, or photo of you and your new spouse. This way, the cigars look the part and remain in theme with the rest of your wedding. Your guests will appreciate getting a flavorful cigar favor bag from your wedding, which they can celebrate with long after the party ends. Cigar Stud Events offers cigar rolling services for your wedding. We can turn your celebratory experience into an upscale occasion that encourages relaxation and better conversation. You’ll get the opportunity to indulge in hand-rolled premium cigars and watch as our master cigar rollers form each piece. Call us at 305-342-9440 or 305-469-4667 or fill out our form today.